Faith in the Team is a fresh look at how people relate their faith to the world we live in today by a genuine Football Chaplain at Cambridge United FC. Stuart Wood has an unusual job, in addition to being the minister of a small baptist church, Stuart is also the official Chaplain of a modern day professional football club. In Faith in the Team, Stuart writes an honest and heartfelt diary of his season, from pre-season through to May as the club battles to reclaim promotion to the Football League. Writing as a fan as well as club chaplain, Wood has a unique behind the scenes insight. He charts the highs and lows and the mood around the club, introduces the reader to the people involved and explains his role in ministering to the spiritual needs of the club. This book is first and foremost a football book for fans of the beautiful game. But the underpinning faith that is expressed in everything Stuart does makes it a football book with a difference. Keeping Faith in the Team by Stuart Wood was published by Darton Longman & Todd in July 2011 and is our 17214th best seller. 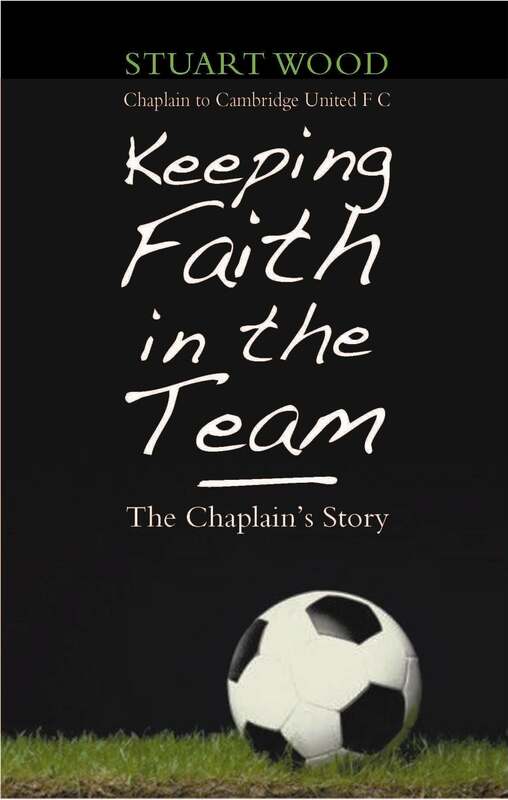 The ISBN for Keeping Faith in the Team is 9780232528763. Wow! This book is the first in a long time that I have found literally ‘un-put-downable’. At a level of intrigue to any football fan, even sports fan, Stuart Wood has written a report of the 2010 season for non-league club Cambridge United. You could easily enjoy reading this book purely out of interest to see what happens to the team and the club as they set out on a promotion seeking season. However, Stuart, whilst accurately recording the season and capturing the interest of the reader with this in itself, manages to add his own perspective of life in the lower leagues and gives a rarely experienced view of activities behind the scenes. Add into the mix his personal passions to see how best God can use him through the chaplaincy role to impact not only the club, but the wider community of Cambridge and we have a storyline that challenges the reader into looking how best we can engage in our own local community and indeed seek to find what God is doing there. Got a question? No problem! Just click here to ask us about Keeping Faith in the Team.